3rd Annual Shave a Hero//Save a Hero!! heads will be shaved and pony tails cut to show support for children fighting cancer. Tony Mormile, Jim Autobello, Pete Smith, Erik Paulson and Neil Leone. your very own Shave fundraising page! Click to donate or to create your own page! Look Great By Giving Back! For the past two years we've had many ask if they could have their ponytails cut as opposed to sporting the shaved look : ). Well, thanks to the Je T'aime Coiffure salon, you can do just that! 2x leukemia fighter Reese Osmond. 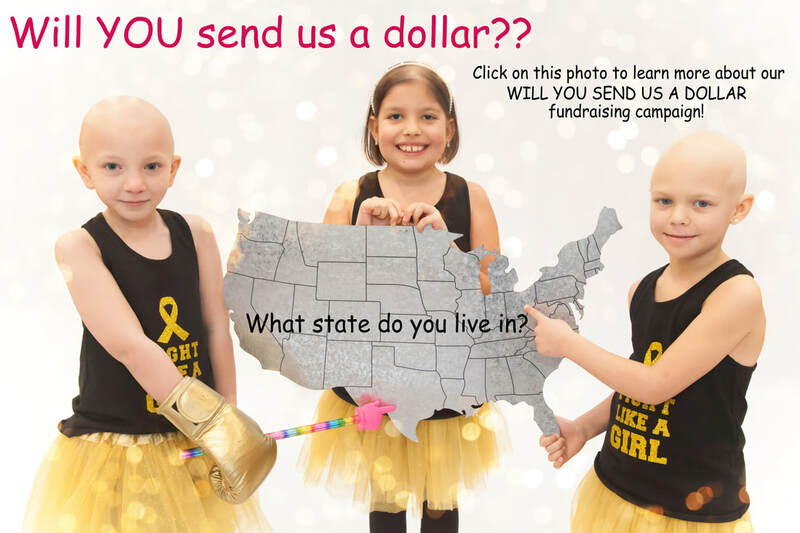 In addition to speaking engagements, fundraisers and our social media presence, we're always looking for creative ways to reach and educate the masses about childhood cancer, and this original song (and award winning music video) does just that! Click here to learn more about "Fighter." Childhood cancer research is grossly underfunded receiving only 4% of the NCI's annual research budget! In fact, in 25+ years there have only been 3 new drugs developed for ANY type of childhood cancer! 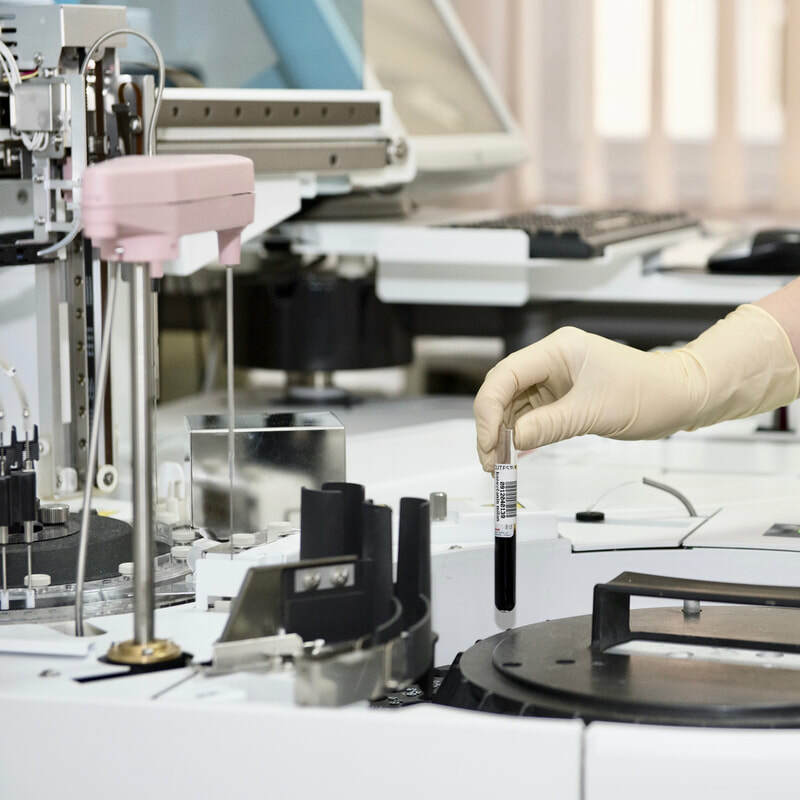 At Infinite Love funding research is one of our biggest priorities. Click here to learn more. From the moment we meet a new family, we do our best to be there for them from beginning to end whether they need financial or emotional support. 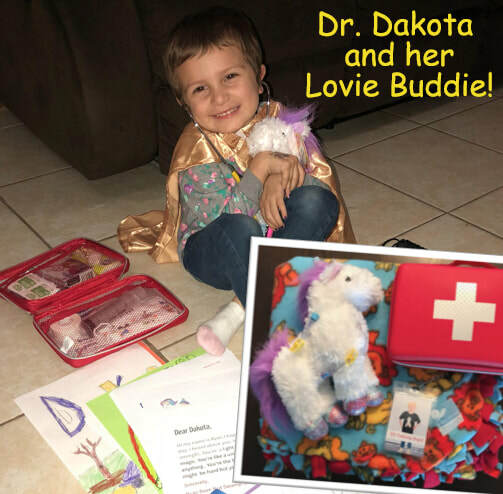 One of our favorite things that we do for these kiddos is providing them with a personalized "Lovie Buddie." Click here to learn more about these medical dolls. From left to right, cancer fighters: Angelina (relapsed neuroblastoma), Carina (leukemia) and Arden (relapsed wilms tumor). Infinite Love for Kids Fighting Cancer, Inc., is a registered 501(c)(3) corporation. All donations are tax deductible under current IRS rules and regulations regarding deductions to the fullest extent of the law.